The Chapel of the 4th Signal Battalion (Corps) , X U.S. 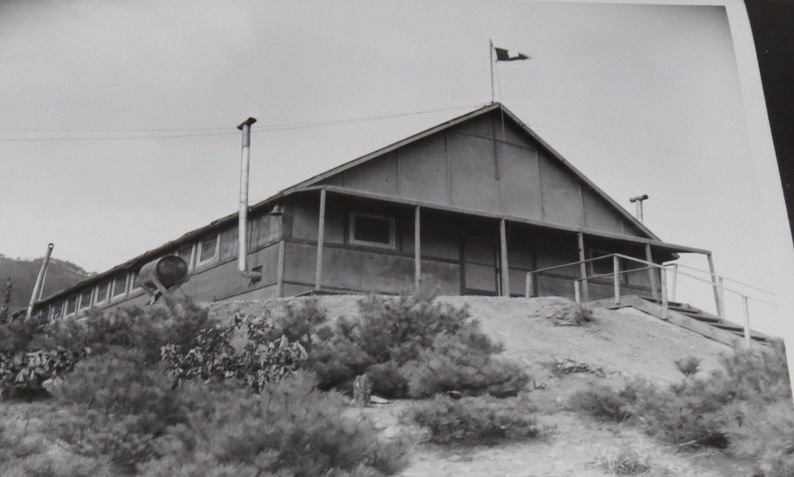 Corps, 13 Feb 1953 (photo from Ebay listing). 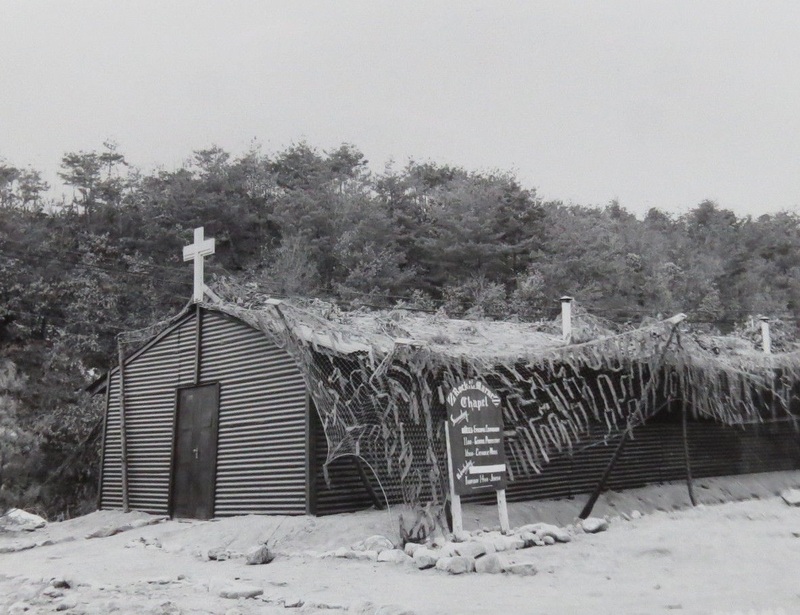 The chapel of the 19th Engineer Combat Group, 8th U.S. Army, 13 Feb 1953 (picture from Ebay listing). 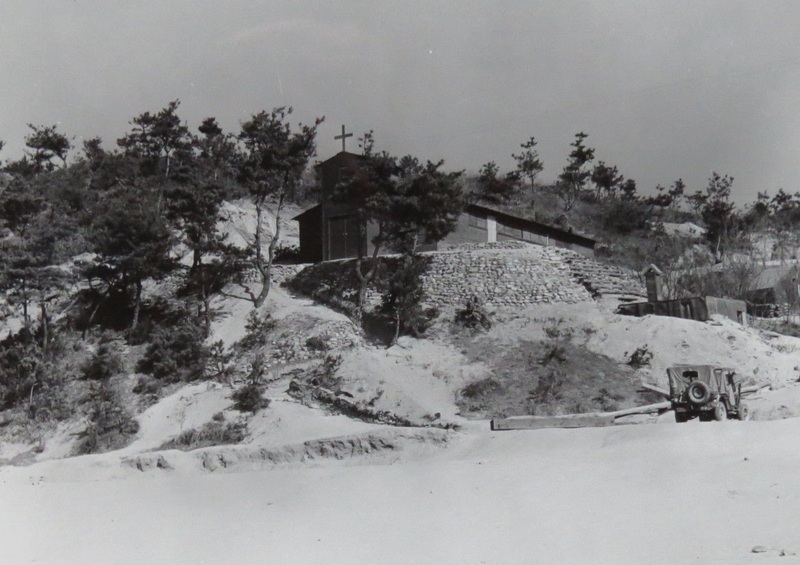 “Rock of the Marne Chapel.” The chapel of the 3rd U.S. Infantry Division, 10 February 1953 (photo from Ebay listing). 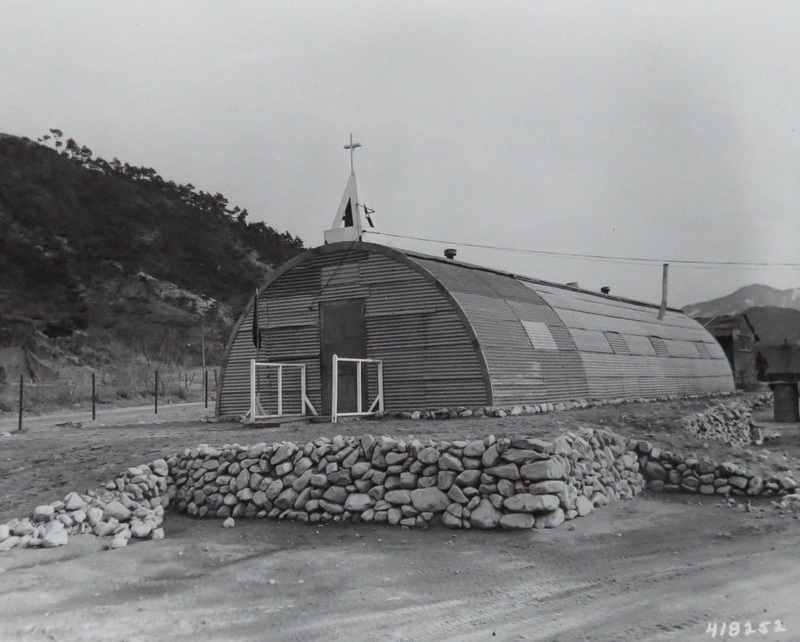 The chapel of the 74th Engineer Combat Battalion, U.S. Eighth Army, 10 February 1953 (photo from Ebay listing). 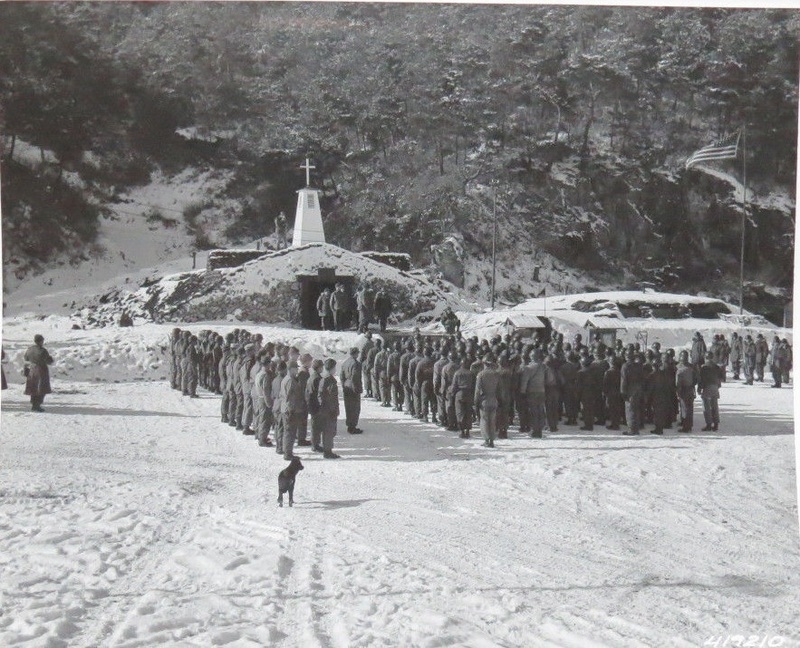 Members of the 17th Ordnance Maintenance Company, U.S. Eighth Army, stand in formation during a dedication ceremony of their newly constructed chapel which also serves as a bunker during shellings by the Communists. 18 December 1952 (photo from Ebay listing).